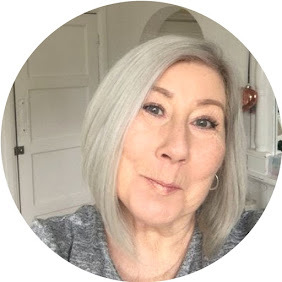 I do like the idea of a little bit of pampering, and have to admit to loving a face mask, as you will tell from my review of Superdrug Masks. I am very fond of Indeed Laboratories as a Company, the products I have tested in the past have all been extremely good and I would say good value for money for the quality of product you get. These Moisture boosting masks are new to me, They come in individual sealed foil sachets and there are 4 in the pack. The masks themselves are pre cut face shaped soft cloth, and are soaked in the moisture solution, to be fair you could probably seal it back up and use twice. PLEASE do not answer the door to the postman, poor bugger will run for the hills, the only way I can describe the look of these face masks is an after surgery bandage lol, which actually is pretty cool as it gives you a giggle while making you gorgeous. 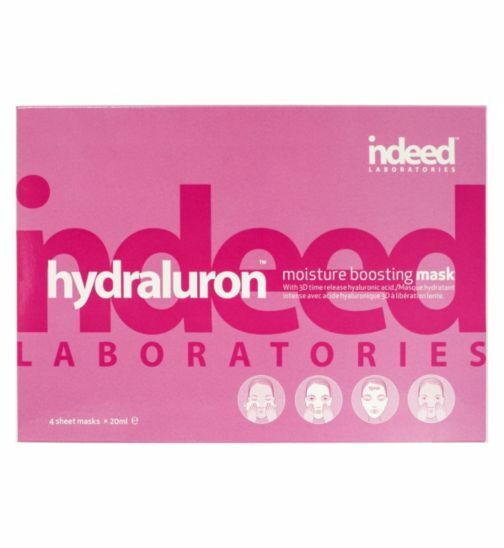 Indeed Laboratories say these masks will keep you moisturised for up to 24 hours due to 3d hyaluronic acid, which with each use will leave the skin feeling softer, more plumped ( we like a bit of plumping ) glowing and smoother. Do they work ? Yes indeed ( labs) they do ! You need to lie down and relax, or else it will fall off your face, who needs an excuse for a little lie down ? after the 15 minutes of relaxing just remove the mask, bin it, or seal it back up and leave the solution to sink into your skin and dry, it truly feels fabulous. If I am honest I wouldn't pay 19.99 I think £5.00 per mask makes it something you wouldn't want to do weekly, but at £2.50 they are fabulous.